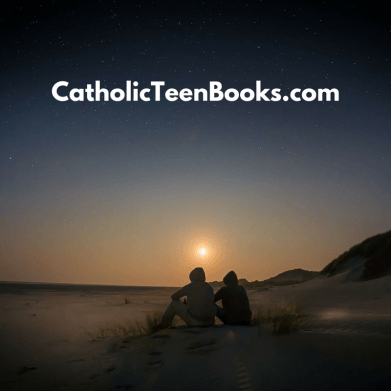 Following is an author interview by Catholic Fiction.net. Check it out! T. M. Gaouette: It’s inevitable. Hemingway famously stated that, “There is nothing to writing. All you do is sit down at a typewriter and bleed.” He wasn’t kidding. Writing is as much thrilling as it is draining, and there have been times when I’ve been so disheartened that I’ve contemplated giving it up. But I can’t imagine not writing. I have stories to tell and a nagging desire to share God’s amazing grace within each one. So, I’ll plug away and pray that God gives me the words and the aspiration to continue on. At least until I’m no longer consumed with stories to tell. TMG: I don’t recall that first moment, but I can’t remember a time when I didn’t write, whether it was my own thoughts in a diary as a child or short stories and poems. TMG: Deep, descriptive, and refreshingly pastoral. CF: Is there a favorite place you have to write? TMG: I’d love to share some romantic image of myself gazing out at an idyllic afternoon scene as I blissfully tap the keys of my laptop, but the reality is that I write late at night when my four children are asleep. I’m usually sitting on my couch with my laptop burning my lap. I do have a more attractive schedule that seemed feasible at the time of its conception, but parenting, home-schooling, working, gardening, canning, farming, cooking, and cleaning have since extended beyond their allocated timeframes and pushed my writing into the wee hours. CF: What is your cure for writer’s block? TMG: Read the work I’m writing or focus on another novel. I always have a few books on the backburner and sometimes writer’s block is an opportunity to take time away from the current novel and work on another. When I’m ready, I’ll return my focus to the current novel with a fresh approach. TMG: I don’t get much time to write, so when I’m at the computer, I just get down to it. TMG: When it comes to writing my novels, I have a desire to write about God-loving people in a tainted world. I feel that my need to write is my God-given gift, and all gifts should be used to glorify Him. And so as a writer, I present the world, with its messy and complicated and destructive nature, and then I introduce the characters, some of whom know Christ and some who don’t. And then they meet. The rest is…well, you have to read my novels to find out the rest! CF: What three writers – alive or dead – would you like to invite to dinner? Why? TMG: Undoubtedly, Tolkien, Lewis, and Chesterton, and for numerous reasons. But primarily for the conversation. Such an interaction would be awe-inspiring. We’d talk about writing and faith. I’d have loved to hear Tolkien’s compelling arguments with Lewis that caused the latter to convert. CF: What is the “best thing” about being a writer? TMG: Clearly, the best thing is when my readers are inspired by my novels. When they find comfort in them. I honestly see my work as a ministry and when the final product brings someone closer to Christ, that’s an awesome feeling. 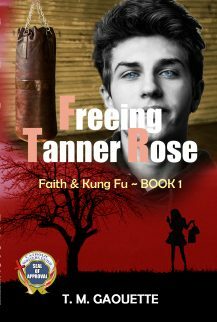 TMG: Freeing Tanner Rose is about a Hollywood teen diva who is uprooted from her celebrity lifestyle, as a result of her destructive vices, and sent to the boonies to stay with her mother’s friend who’s a devoted Catholic and mom to a gorgeous and Godly, Kung-fu loving teenaged son. CF: What inspired you to write this story in the first place? Where did the story line come from? TMG: Our pop culture prompted me to write about the immorality of Hollywood, as well as the desire to introduce young, attractive characters who are beautifully Catholic. I feel as if Hollywood, and its sexualized nature, has taken such a hold on our young people. I’m disturbed that it’s so appealing, and Hollywood entices our children with everything immoral. And so, I wrote Freeing Tanner Rose to demonstrate that God and His way are so much more appealing, and in essence, we are all imprisoned without Him. 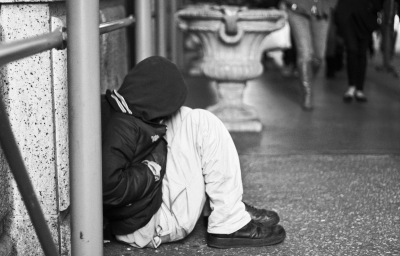 This is the first of four novels that will touch upon issues that our teens and young adults have to deal with today. TMG: All my ideas are written down immediately in a notebook or flashcard so that I don’t forget them. And then the plot develops over time. I continue to write down my thoughts, but when the story begins to take shape with a plot and characters, that’s when I write down a layout and synopsis. Freeing Tanner Rose took a few years to take shape. CF: All fiction comes from a mix of past influences and impressions –things we’ve lived, seen, imagined, or read. Can you talk about some of the elements that came together to shape this particular fiction? TMG: It was a culmination of things lived, seen, and imagined. I’ve studied Kung-fu, so I’m familiar with the art. 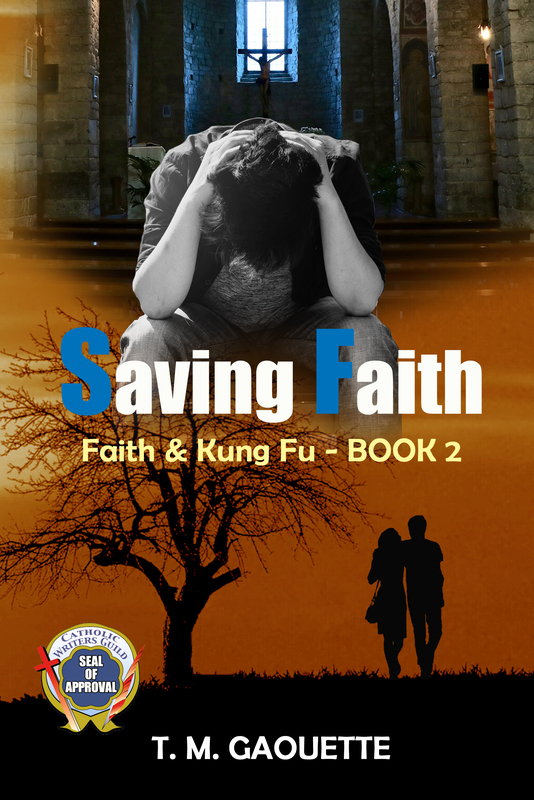 My own personal voyage toward a more devout existence also influenced the novel’s journey of faith. And the destructive nature of our pop culture inspired me to write about what would happen if Hollywood was stuck in a small town. 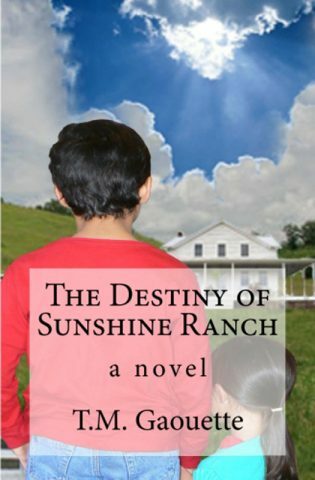 TMG: I have been told by some readers that Freeing Tanner Rose differs greatly from The Destiny of Sunshine Ranch. I believe that primarily it’s the dynamics of the relationships that make a difference. In the former, there is more focus on Tanner and Gabriel’s developing relationship. TMG: The biggest challenge, when it comes to writing in general, is in creating a work with both plot and characters that are appealing to the youth of today. And when their usual literary intake is comprised of bad boys corrupting good girls or gorgeous vampires in compromising positions, all set in a godless world, it makes the challenge all the more difficult for authors seeking to offer edifying novels that glorify the Almighty. However that’s a challenge I accept willingly. CF: Which characters in this book did you find most challenging to work with, and what was it like to write with them? Conversely, do you have any characters that came particularly easily to you? TMG: I knew my characters before introducing them. Knowing them came easier than describing them in words in some cases. When it came to Tanner Rose, I wanted my readers to gradually change their feelings for her as the story and her faith journey progressed. And the transition that she experiences had to be realistic. Gabriel was equally challenging. He had to be an authentic character. He had to be pure in his beliefs and actions, even though he wasn’t perfect. And he had to be unruffled in his demeanor and unapologetic in his piety. Read the whole interview at Catholic Fiction.net.